Here’s a video from way back in 2011 that I only recently noticed on YouTube. It features D. Andrew Stewart playing the T-Stick as instrumental soloist with laptop orchestras from Concordia and McMaster Universities. The piece was co-composed by Eldad Tsabary (director of the Concordia Laptop Orchestra, CLOrk), D. Andrew Stewart (T-Stick) and David Ogborn (founder of McMaster University’s Cybernetic Orchestra). Interestingly, there are also a couple of videos online in which composer Kevin Austin presents the video and discusses the piece. An improvised duo for bass flute and soprano t-stick at the Centro Mexicano para la Música y Artes Sonoras in Morelia, Mexico (29 June, 2012): Salvador Torre, amplified bass flute, and D. Andrew Stewart, soprano t-stick. 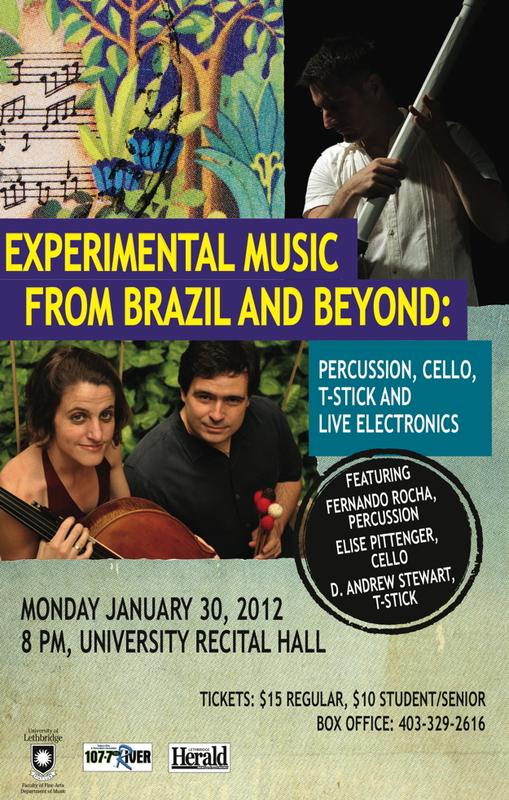 Video has now been posted from the concert “Experimental Music from Brazil and Beyond” at the University of Lethbridge. 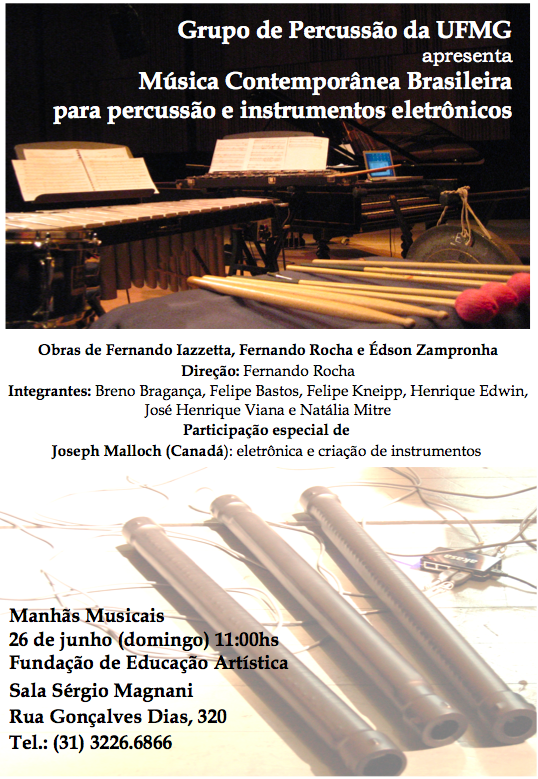 The concert featured two performances with T-Stick: a solo written by Patrick Hart and D. Andrew Stewart, and a trio improvisation by Fernando Rocha (percussion, including another project of mine: the Hyper-Kalimba), Elise Pittenger (cello) and D. Andrew Stewart (soprano T-Stick).